One thinks of the dear ones more than ever when festive time comes around. Yu Yun Wing and Yu Yun Chung learned from their father the craftsmanship of making traditional Chinese pasties when they were a little boy. It’s hard to imagine when Yun Chung left him to the US with his family. After 17 years of long waiting, Yun Chung is back to the workshop and making the traditional Chinese mooncakes with his brother. An air of serenity pervades Tsing Yi Chung Mei Lo Uk Tsuen at dusk, lit up by the bright white lights of Dai Foon Hay Bakery. 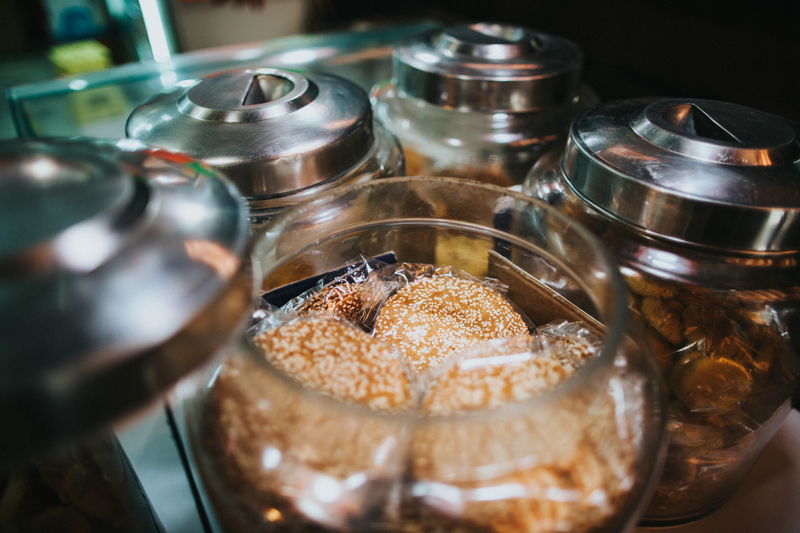 Inside the shop, big glass jars of Chinese pastries await sweet-toothed critters and hungry customers alike. Sesame cookies are the best sellers, made with a touch of Chinese traditions. As mid-autumn approaches, mooncakes fill the glass buffets at the shop front and the sideboards. Inside the workshop, two brothers are labouring away – one works the dough while the other makes the filling mix and greases the mould. The only sound is the banging of the mould on the pastry table. The craftsmanship and the rapport are the products of dedication and long-term partnership. 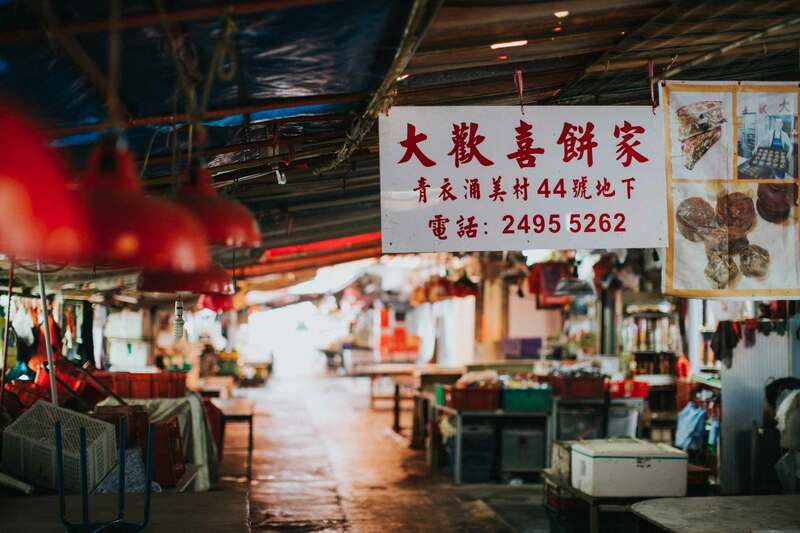 Back in the 1950s, apprentice Chinese pastry chef Yu Chuk On found his path to Hong Kong from his native Zhongshan. 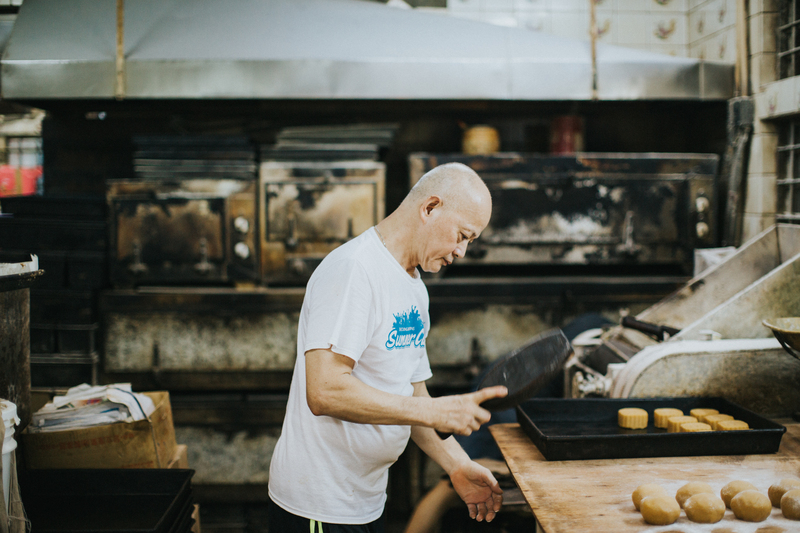 Some 16 years later, he opened Dai Foon Hay Bakery on Tsing Yi Main Street. Chinese pastries were his only merchandises. Later, the government turned Tsing Yi into a new town and relocated the entire neighbourhood into the newly built Chung Mei Lo Uk Tsuen where Daddy Yu and Dai Foon Hay called home. Dai Foon Hay in Chinese means everyone is very happy after having the shops’ Chinese pastries. Daddy Yu had eight children. His firstborn son Yun Wing was only 13 when he began to learn the ropes. His third son Yun Chung also started helping out at the tender age of 11. “We used to start work right after school,” Brother Wing recalls. Was the work tedious? “It was not a matter of choice. The bakery needed an extra pair of hands. My parents made do without any help back then.” Subsequently, the two brothers completed their secondary education at an evening school. It was during that time, their careers took shape. The responsibility of inheriting the craft lasts a lifetime. A day at the bakery: Brother Chung starts the oven at around 2am with a dozen types of bread; Brother Wing takes over at 6am for cakes and Chinese pastries; Mama Yu mans the shop when the brothers take a break; Mama Yu takes off around noon as the brothers get things ready for the next day; The shop closes at 7pm. At Dai Foon Hay, there are no days off. Has there been any fun though? “Customer compliments give us great satisfaction,” says Brother Chung. Yun Chung started helping out at the tender age of 11. Over the years, Dai Foon Hay has hired a number of pastry chefs. Nowadays, nobody wants to tap into Chinese bakery because Western bakery offers better career prospects. The early hours and the baking heat also deter young people from entering the field. In recent years, there have only been the two brothers. 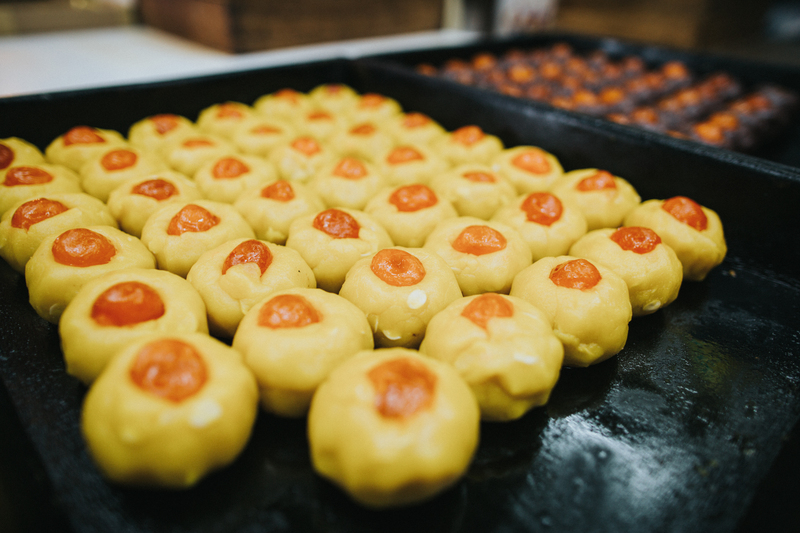 Work before the Mid-autumn Festival has always been hectic for the Yu brothers who handle everything from making the sugar syrup to working the dough, cooking the lotus seed paste and the actual baking. 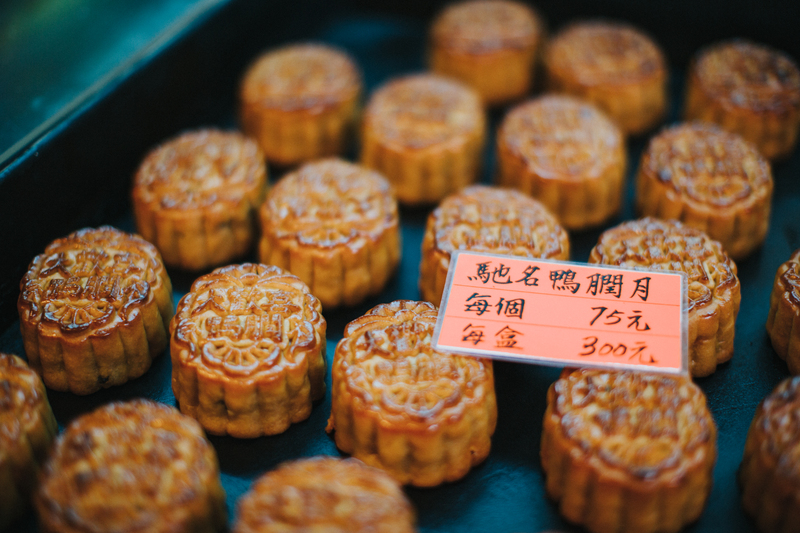 Every year, more than 5,000 boxes of mooncakes are produced by just two pairs of hands. “The syrup for the mooncake pastry for this volumn requires boiling and stirring for about a dozen times. This month-long process is indispensable for ensuring a soft texture.” The traditional craftsmanship constitutes another essential ingredient. 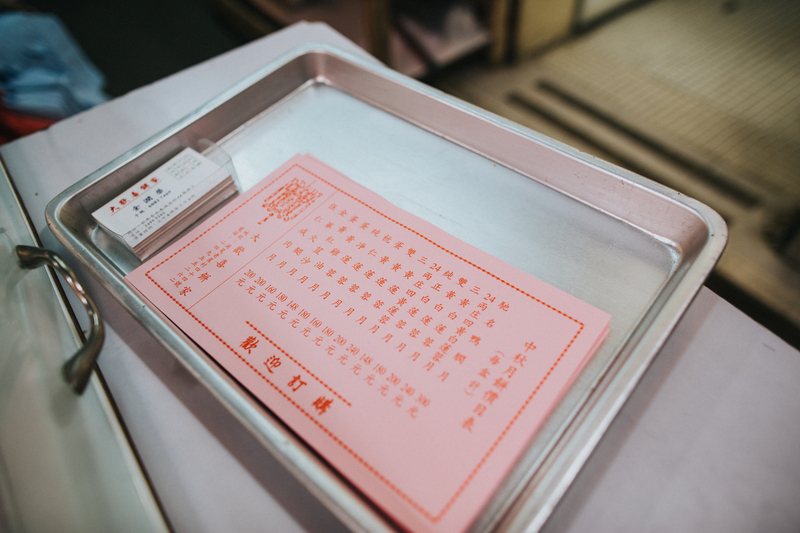 Dai Foon Hay’s mooncake leaflet features 15 traditional flavours including half a dozen of yellow lotus seed paste and three white varieties, a red bean paste, in addition to Chinese ham, five-kernel as well as Hong Kong’s only duck liver fillings. This duck liver mooncake was only a delicacy in the neighbourhood. 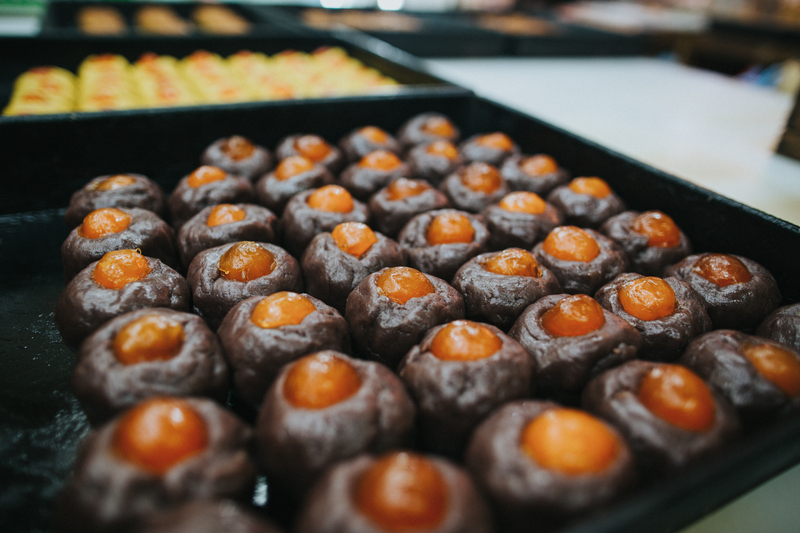 “Two years ago, a journalist reported it and gave it fame.” Last year, more than 3,000 boxes of duck liver mooncake were sold. The demand is overwhelming. This year, therefore, no pre-orders will be entertained. Customers will need to buy the mooncakes at the bakery. Dai Foon Hay has enjoyed relatively plain sailing through half a century. Brother Wing recalls a journalist’s visit. 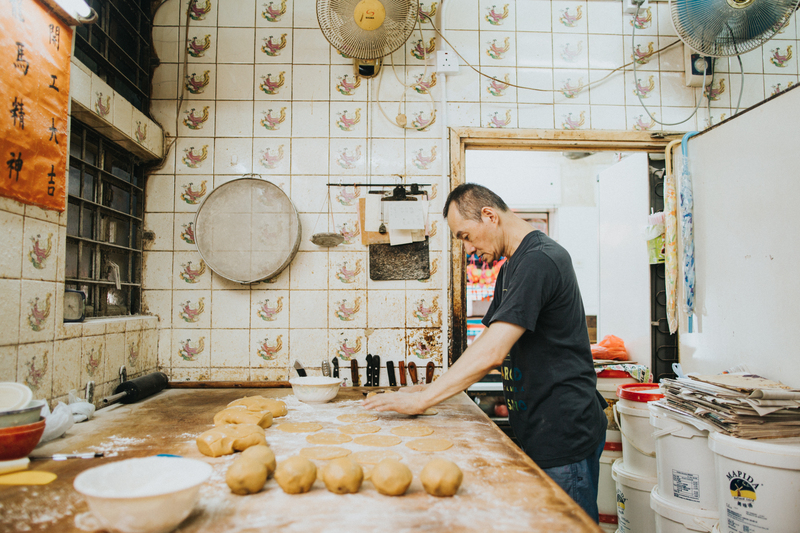 “About 10 years ago, a journalist came for a taste of our sesame pastries and asked about our name Dai Foon Hay (Brothers) Bakery.” Back then, brother Chung had left for the US. In 1996, Brother Chung wanted better education for his children and so moved the family to the US. Since then, Brother Wing had to manage on his own. “The journalist learned about my story and suggested a phone call to my brother during another visit around the Mid-Autumn Festival.” Before the Mid-Autumn Festival, the journalist revisited Dai Foon Hay and spoke to Brother Chung on the phone. “It was all for the children,” repeats Brother Chung. In 2013, he made his return on a call of duty from Mama Yu. 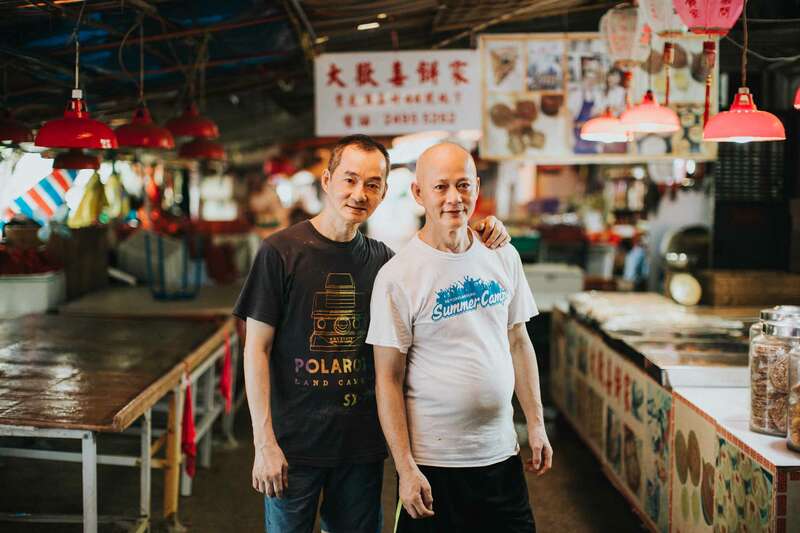 Since then, the two brothers lead a hectic life together at the open-all-year bakery. 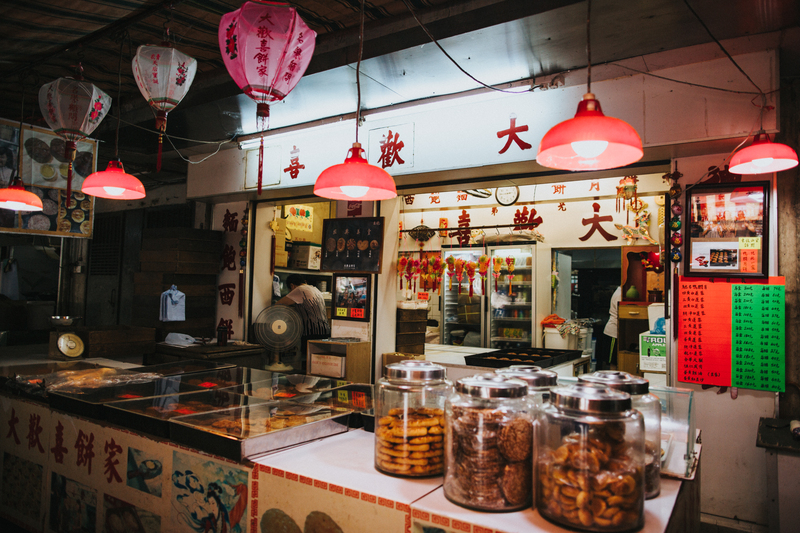 The difference is that Dai Foon Hay Bakery has now become a Hong Kong household name, thanks to the media exposure. The firstborn son assumes the responsibility. That is family values at play.